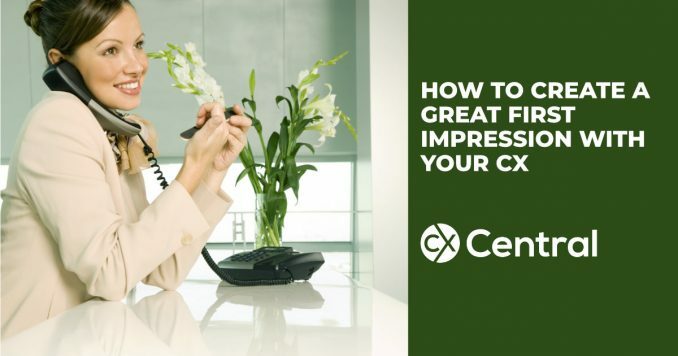 We’re going to give away a surprising secret about how to create an intuitive first point of contact in your call centre. Customers dont want to be delighted. It’s not about delighting customersbut rather reducing their effort to get things done that inspires loyalty. The Customer Executive Board (now owned by Gartner) conducted a study of 75,000 consumers to learn what kinds of customer service experiences inspireor erode customer loyalty. Delighting todays customers doesnt build loyalty. Our tolerance of wait times or any perceived inconvenience has shrunk to nil. So if it feels like your customers are becoming increasingly more impatient, youre not just imaging it. They are. This is why the majority of todays consumers favour a self-service solution when given the choice. When done right, self-service allows them to solve their problems faster. So when a customer reaches out to your company to solve a problem by phone or online, what do they experience? If the answer is a fast, no-hassle solution to their problem, youre likely inspiring their loyalty. If the answer is hold times, confusing IVRs, multi-step logins or Web sites that dont give them what theyre looking forthe frustration customers experience could be driving them to the competition. It’s the first impression and the start of a positive experience that gives customers confidence that their issue will be resolved quickly so that you can boost self-service usage, reduce costs and succeed at winning your customers long-term loyalty. When a customer picks up the phone to contact your company, your interactive voice recognition system (IVR) is often the first company representative they reach. And what your customers experience there leaves a lasting impression: 83% of consumers say that the quality of IVR impacts their opinion of the company. So if your IVR experience includes confusing menus or saccharine voices cautioning please listen carefully as our menu options have changed, youre not only frustrating customers, youre likely driving them away. In fact, a whopping 37% of consumers say they might decide to stop doing business with a company altogether after a single bad IVR experience. Unlike the first two decades of IVR, when plodding through a touch-tone interface was acceptable, todays consumers now expect more, according to new research by Frost and Sullivan. For example, 40% of modern callers will bail from your IVR self-service if the first level menu doesnt include an option matching the reason for their call. To keep your IVR from becoming an obsolete, expensive and ire-inducing agent transfer service, you must help customers solve their problems fast. To succeed, leading companies are turning to Natural Language Understanding (NLU) to help them create that perfect first impression. NLU- enabled IVRs allow callers to use their own words to ask for and get what they need instead of requiring them to select from a predefined list of menu options. For example, rather than being greeted with a generic prompt, callers hear, Hello Sandy, how can I help you? An NLU-enabled IVR solution correctly interprets requests and guides the customer to the correct resolution in seconds. With NLU, customers solve problems fast, and the companies reap the benefit with higher sales, more loyalty and lower costs. And as more companies adopt these technologies, its quickly becoming seen as a must-have by consumersa recent survey found that 82% want conversational IVR. Like many companies, US Airways found themselves saddled with a disjointed IVR, nailed together over the decades. Menus were confusing, answers buried and customers were left frustrated with little choice but to zero out. Kerry Hester, VP of Reservations and Customer Service, recognized that something needed to be done or the system would become a costly relic. Since implementing NLU-enabled IVR, US Airways has nabbed industry recognition and accolades for their winning service. Today, they have industry-leading low hold times and have increased call containment by 5%, resulting in millions in annual savings. Read their story. To achieve results like US Airways, here are a few of the key features youll want to look for in an NLU solution.  Human-like design: Your solution should be able to learn new words and handle ums and uhs without missing a beat.  Optimization loop: Leverage usage and behavioural data to create an optimization loop to ensure your IVR achieves the original goals you defined.  Broad language coverage: Your customers come from all over the globeeven if you only do business in the US.  Simple integration: Support easy integration with major IVR platforms such as Avaya, Genesys or Cisco. Racking your brain to remember a password, guessing and checking, only to end up resetting it (not to mention wasting 10 minutes of your day). Online consumers are fatigued by password overload, found Janrain and Harris Interactive. They wrestle and struggle with online logins and build resentment and frustration in the process. In fact, Janrain and Harris Interactive also found that many consumers think that cleaning their bathroom or in extreme cases trying to solve world peace sounds preferable to adding yet another password to the list. So if your customer’s aren’t using your Web site or are abandoning phone-based authentication, your identity authentication protocols may very well be the culprit. Leading companies are solving this problem both for the phone as well as mobile app authenticationwith voice biometrics, a technology that allows your customers voice to serve as their password. It’s 80% faster than traditional authentication, more secure than alphanumeric pins and passwords and saves companies an average of $15 M over a 3-year period. Barclays Wealth and Investment Management is on a mission to deliver world-class customer service. Anne Grim, Barclays Head of Global Client Experience, recognized that central to this mission was making it easier for their 57,000 customers to access their online and IVR-based self-service resources. She identified voice biometrics as an essential ingredient in their perfect first impression recipe. Since introducing voice biometrics, Barclays has seen a 90% reduction in complaints regarding their security service and a 15% reduction in call handling time and their customers are 71% more satisfied with voice authentication than the traditional process. Read their story. In fact, 77% say valuing their time is the most important thing a company can do to provide them with good online customer service. So if your customers are abandoning your Web or mobile self-service options, it’s likely because they cant get their problems solved quickly enough. And research shows that overwhelmingly, companies are not yet delivering the optimal Web and mobile self-service experience that customers want. According to a study by Research Now, more than 58% of consumers are unable to resolve their issues on the Web and nearly 50% of consumers ultimately give up and contact a live agent for assistance. This is a problem that not only erodes customer loyalty but can also result in critical investmentssuch as expensive online portalsdrifting into obsolescence. Companies are solving this problem with intelligent virtual assistants. An Intelligent Virtual Assistant is a digital persona that delivers personalized, effortless customer service via a human-like conversational interface on the Web and via mobile apps. For example, if you were attempting to book travel online, you would need only type (or say) Id like to fly from Newark to San Francisco this Friday… and I need a car and a hotel room in the Financial District. No clicking or tapping and no scrolling or searching. With intelligent virtual assistants, customers get their problems solved quickly, often without needing to speak with an agent, and they can then quickly get on with their day (which is exactly what they want). Michael Neumeyer, Head of Online Operations for Kaspersky Labs, saw the writing on the wall: in order to stay competitive, the company needed a customer service solution to meet the demands of the always-on consumer. Failure to evolve meant risking the deterioration of online customer service assets and growing dissatisfaction with support wait times. A search of potential solutions identified intelligent virtual assistants as the ideal way to provide the perfect first impression, reduce customer service times, and reduce costs. Today, Kaspersky Labs intelligent virtual assistant Lena handles 30,000 conversations a month, averaging only 80 seconds per conversation. Lena resolves 85% of all customer issues without the need for agent intervention and has decreased call centre inquiries and emails by 22%. To achieve results like Kaspersky Labs, here are a few of the key features youll want to look for in an intelligent virtual assistant. Understands slang and misspellings so that customers can get what they need quickly. Utilises dynamic decision trees to ensure conversations dont hit a dead end and issues are quickly resolved. Maintains a natural conversation cadence so that customers dont experience delays or interruptions. Feels just like a real person because we’re all human and your self-service channels should feel human, too. Its speed and ease rather than delighting customers that that keep them happy and loyal. Google customer service complaint videos, and youll find that the long list of viral hold line video sagas shows that indeed, consumer tolerance of inconvenience wanes by the day. Whether your company thrives or dies in this new era will depend on your ability to meet your customers expectations for self-service and quickly deliver the answers or information they seek. The good news is that creating the experiences todays consumers demand isnt out of reach. Follow the strategies outlined in this document, and youll reduce costs, improve customer satisfaction and win their long-term loyalty. If you need help to make a good first impression with your CX search our Busines Directory for a range of solutions including technology suppliers, consultants and more.